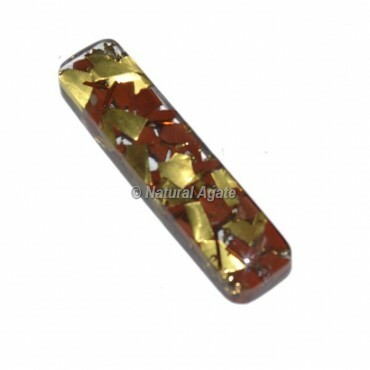 Explore the collection of Red Jasper With Copper Orgone Rectangle at lowest price.This beautiful stone deepens and strengthens your connection to the earth, helping you to remove the stress in your body, ground your energy, and calm your mind. Red Jasper is connected to the sacral and root chakras. It helps in enhancing your vitality, stamina, and endurance.